During the European Council on Tourism and Trade (ECTT) official visit to Ethiopia, ECTT President, Professor Dr. Anton Caragea, met with Prime Minister Hailemariam Desalegn,Foreign Minister, Tedos Ghebreyesus, State Minister, Berhane Gebre-Christos, Yaekob Yalla, Minister of Trade and Minister of Culture and Tourism, Amin Abdulkadir, to create a climate favorable for tourism and trade development and for awarding to the people and Government of Ethiopia, the world most important recognition for tourism advancement-WORLD BEST TOURIST DESTINATION AWARD FOR 2015. (Addis Ababa, Ethiopia, 9-15 July 2015). On the landmark occasion, of the universal proclamation of World Best Tourist Destination for 2015, a top ranking delegation from European Council on Tourism and Trade was invited for a discovery tour of Ethiopia, the receiver of this year most influential tourism designation. We are WORLD BEST TOURIST DESTINATION is the hymn of Ethiopia ! A perfect song for a perfect destination! The visit took place between 9 to 15 July, 2015 and included an important political and diplomatic dimension, with European Council on Tourism and Trade President -Professor Dr. Anton Caragea holding discussions with Minister of Trade-Yaekob Yalla, Minister of Foreign Affairs-Berhane Gebre-Christos and H.E. Amin Abdulkadir – Minister of Culture and Tourism of Federal Democratic Republic of Ethiopia and an inclusive and profusely dialogue with Prime Minister of F.D.R. 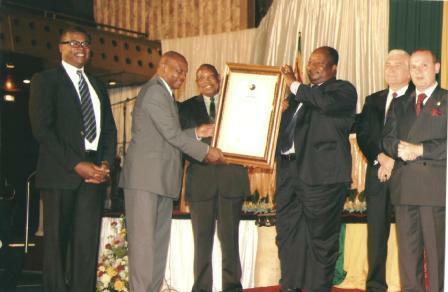 Ethiopia- Academician Hailemariam Desalegn. Ethiopia tourism is having a perfect future ! with the hand shake between Prime Minister of Ethiopia-Hailemariam Desalegn and ECTT President-Professor dr. Anton Caragea. 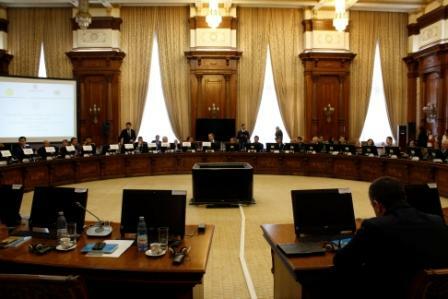 The inclusive dialogue, concentrated on promoting bilateral trade, investment and economic cooperation, supporting business people and firms from both regions in cooperating and promoting the exchange of techniques, skills and economic goods. Gala dinner for European Council on Tourism and Trade (ECTT) President and his high ranking delegation. (from right to left): Minister of Culture and Tourism – Amin Abdulkadir, H.E. Prime Minister – Academician Hailemariam Desalegn, H.E. 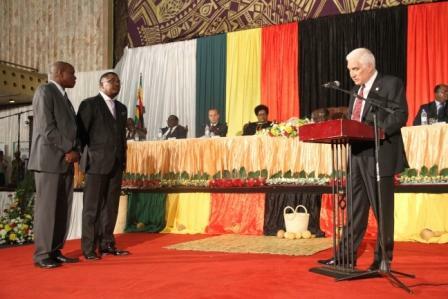 ECTT President – Professor Dr. Anton Caragea , Minister of Foreign Affairs of Ethiopia-Tedros Adhanom Ghebreyesus. On diplomatic arena a cooperation and further developing of honorary consul’s network across the world, was established, with a view to foster tourism, cultural and economic cooperation. Creating a network of Ambassadors for Tourism and Culture, promoting tourism and the image of Ethiopia, where also tabled, based on other successful examples of actions of tourism promotion carved by European Council on Tourism and Trade. During his official visit, Professor Dr. Anton Caragea met for an extensive dialogue Prime Minister Desalegn Hailemariam, who, on the occasion of WORLD BEST TOURIST DESTINATION CEREMONY FOR 2015, was presented with the WORLD LEDERS OF TOURISM LETTER of European Council on Tourism and Trade, calling on Heads of States and Government to “promote peace and world development via the tourism sector”. ECTT and Ethiopia have agreed to reinforce their collaboration in the areas of tourism promotion, management of tourism product development, and cultural marketing strategies, as agreed in the discussions between Professor Dr. Anton Caragea and the Minister of Tourism and Culture of Federal Democratic Republic of Ethiopia, Mr. Amin Abdulkadir. ETHIOPIA IS THE LAND CHOSEN BY GOD ! 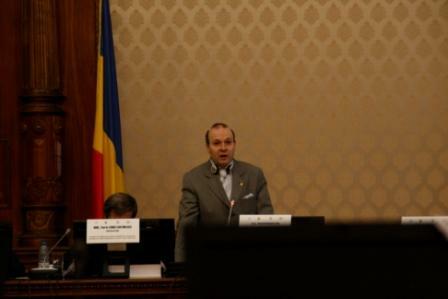 an WORLD BEST TOURIST DESTINATION FOR 2015 proclaimed President Professor Dr. Anton Caragea. On July 10, 2015 European Council on Tourism and Trade President -Professor Dr. Anton Caragea had presented the World Best Tourist Destination for 2015 insignia to Prime Minister of Ethiopia- Academician Hailemariam Desalegn. H.E. 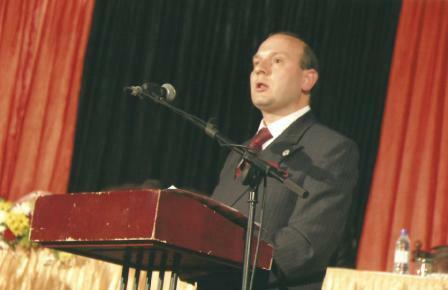 ECTT President – Professor Dr. Anton Caragea, Minister of Culture and Tourism – Amin Abdulkadir, H.E. Prime Minister – Academician Hailemariam Desalegn, are directing the proceedings for World Tourism Awards Ceremony for 2015. The President also presented the main speech of the world tourism ceremony titled: Ethiopia-the land chosen by God! European Tourism Academy Director- Academician Mircea Constantinescu, announced also that after receiving the letter destined to World Leaders of Tourism-Prime Minister Hailemariam Desalegn will represent Ethiopia, as the newest honorary members of European Tourism Academy. Academician Mircea Constantinescu, Director of European Tourism Academy is presenting the Honorary Academician Title to Prime Minister of Ethiopia- Hailemariam Desalegn. 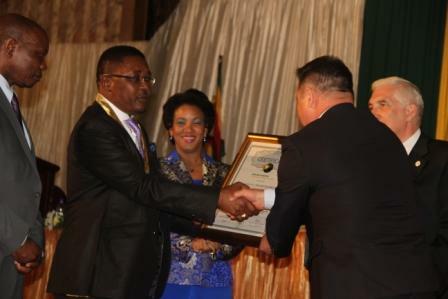 The ceremony for World Best Tourist Destination for 2015 included also folk dances, Ethiopian traditional coffee ceremony and academic presentations, supported by leading figures of Ethiopian cultural establishment. H.E. Prime Minister and Academician Hailemariam Desalegn and European Council on Tourism and Trade President- Professor Dr. Anton Caragea in the center of Ethiopian government and European Council on Tourism and Trade visiting delegation. The ceremony for World Best Tourist Destination in 2015 was live broadcasted and viewed by more than 200 millions viewers and will continued to be presented across Europe for the next year. From 10th July, the European Council on Tourism and Trade President and his delegation embarked in a cultural and tourism program visiting Axum-the first capital of Christian Africa and the centre of a world power in 100 to 400 BC that controlled trade across the Read Sea. In Axum, the delegation visit the royal tombs, the Church of the Arch of Covenant, the Saint Mary Imperial Basilica, where the emperors of Ethiopia were crowned. Specially for European delegates, were opened the gates of the imperial museum, containing the priceless treasures of ten Ethiopian emperors from garments, to crown adorned with jewels and the robes used for imperial investiture. Dances and flowers: welcoming at Gondar airport, European delegates with Mayor Getinet Amare. From Axum, the old imperial city, the delegation led by President Anton Caragea has being directed to Gondar, the capital of Ethiopia from XVII century to XIX century. Here they have a chance to admire the fiery Amharic dances, in a wonderful welcoming ceremony, offered by the local authorities, enjoyed the fabulous gondarine cuisine at famous Four sisters’ restaurant and toured the imperial city. European Tourism delegation is touring the outstandingly preserved Imperial compound of Gondar- Ethiopian empire capital from 17 to 19 century. Behind is the the world famous Fasil Ghibli-Palace of Emperor Fasilides. Gondar is also world renamed for his architecture and for housing almost ten emperors, in a period of glory for Abyssinia, as Ethiopia was known in that time. Garnering Portuguese influence, with Indian and English architectural designs, Gondar is nicknamed as African Camelot for his strange, but perfect architecture. Welcoming in Lalibela with flowers and the beautiful children of Ethiopia: Anton Caragea- European Tourism President and European Senator Ionel Agrigoroaei. European Council on Tourism and Trade delegates were received with a religious ceremony in Lalibela, the holiest Christian city in Africa and the second Jerusalem, as in worldly known. More than 5000 pilgrims, priests and deacons, welcomed President Dr. Anton Caragea and offered to him and his delegation, special ceremonial robes, to mark their entrance in the holy city. European Tourism President-Dr. Anton Caragea addressing to priests, pilgrims and believers at Lalibela-the capital of Christian Africa. On this occasion, President Anton Caragea held his gratitude speech known as: To The People of Lalibela, a discourse that quickly captured the imagination of the inhabitants of Lalibela. An impressive tour of six of the eleven rock hewn churches was conducted, including the famous grave of Saint Lalibela, the church of Medhane Alem (Our Saviour) and Holy Cross Church. Lalibela is a city greater than words, nothing can prepare you for his atmosphere and nothing can describe it!-President Professor Dr. Anton Caragea. In the final leg of the trip, European Council on Tourism and Trade President and his party were treated with a wonderful welcoming to the bustling and sunny south of Ethiopia and with his famous Lake District city of Hawassa. The delegates were welcomed to music and a fire display by the head of Southern Nations, Nationalities and Peoples Regional State of Ethiopia and enjoyed a tour of Lake Hawassa, a discovery of the city landmarks and a special night show that touched their hearts. Boat trip along the Hawassa lake shores. The Rift Valley Lakes of Ethiopia are an internal sea, that can be perfectly used for tourism and leisure. A special surprised was offered by HE. Minister of Culture and Tourism of Ethiopia, Amin Abdulkadir, who arranged for ECTT President Dr. Anton Caragea delegation a special discovery tour of Harar-the fourth most holy Islamic site. Mihai Prundianu, ECTT Trade Chairman pose for a photo in front of famous Harar landmark-Grand Jami Mosque. The city comprises more than 82 mosques and 4000 saints tombs known in the Islamic world as Medinat Al Awliya- the city of saints and a UNESCO heritage site. The delegates were welcomed with a coffee ceremony and a tour of famous city enclosure, known as Jugal, and a visit to famous French poet Arthur Rimbaud house in Harar. A short moment of tranquility in a dense schedule: in a famous traditional Gay Ger (house) in Harar. The visit, to extraordinary city of Harar, was the perfect gift for our delegates, appreciated Professor Dr. Anton Caragea. The European delegation official visit to Ethiopia is a sign of the country inclusive development, political, clout and prominence in Africa and a mark of the country taking the rightful place that is deserved amidst the most cultural and historical developed country in the world, concluded his remarks, President Professor Dr. Anton Caragea. The Government of Ethiopia had succeeded in developing the country tourist infrastructure, in insuring security for tourism facilities and is proposing for the next year`s a number of strategic decisions to further develop the country’s tourism sector. The Government of Prime Minister Hailemariam Desalegn is anticipating that tourism will become the main country foreign currency earner with the necessary investment in infrastructure, on destination promotion and product development, through the recently established Tourism Transformation Council. Photo-Journal of EUROPEAN TOURISM ORGANIZATION-EUROPEAN COUNCIL ON TOURISM AND TRADE TO ETHIOPIA-WORLD BEST TOURIST DESTINATION FOR 2015. European Tourism Academy release the official letter approving the election of H.E. Prime Minister of Ethiopia Mr. Hailemariam Desalegn as a honorary member of European tourism body. The decision was taken during 25/26 June General Meeting of European Council on Tourism and Trade announced and was taken in high appreciation of H.E. Desalegn Hailemariam “recognition of the role and significance of tourism on world stage”. H.E. European Council on Tourism and Trade President-Professor Dr. Anton Caragea announces the new addition to European Tourism Academy-H.E. 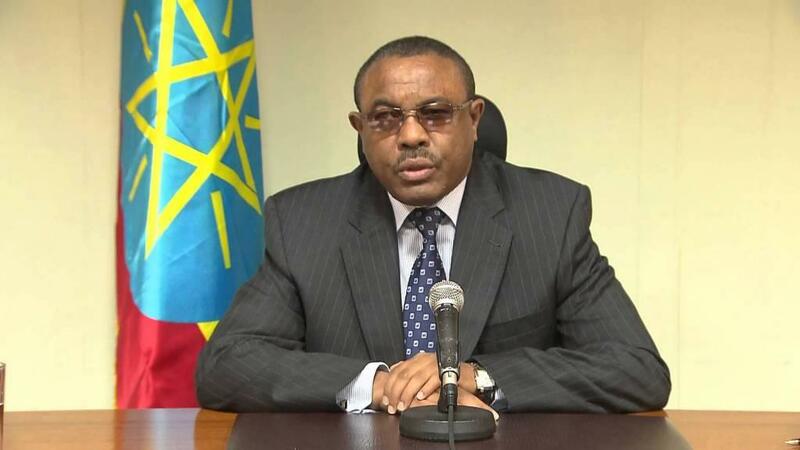 Prime Minister of Ethiopia Mr. Hailemariam Desalegn. “Today, the Government of Ethiopia is recognizing the importance of tourism as a key facilitator for the country development and international promotion, creating exemplary structures like Tourism Transformation Council, investing in infrastructure and capacity building, creating a special team under Your Excellency leadership for destination promotion and management and protecting the cultural, natural and historical patrimony of the country. 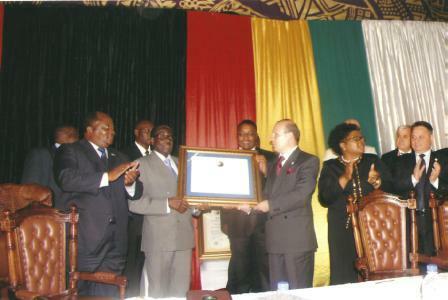 The world leaders that are offering such a special attention to historical patrimony of their country and use it, and preserve it for the benefit of the future generation, who grasp the importance of tourism as the most important part of diplomacy, international relations and raising national profile on world arena, must be supported and commanded and offered as a general example . Your Excellency stated that your “aims are to build on Ethiopia’s natural, historical and cultural resources to strengthen the tourism sector, identify pressing value-chain gaps and intervening to allay these gaps based on tangible and scientific studies jointly with the private sector and the international tourism community. This statement, and practical measures put in place, made your country succeeding in the 2015- WORLD BEST TOURIST DESTINATION AWARD competition and be accepted as FAVORITE CULTURAL DESTINATION for your rich past and cultural prowess. “In your new capacity, as the representative of ETHIOPIA on world tourism and on international cultural stage, we hope that the World will benefit now from your public exertions and support in creating a new world community based on peace, development and tourism as the pillars of international cooperation”. On 19 October 2011, in the framework of European Union Council on Tourism and Trade official delegation visit to Republic of Trinidad and Tobago , Professor Dr. Anton Caragea , President of European Union Council on Tourism and Trade bestow upon people and government of Trinidad and Tobago the WORLD BEST TOURIST DESTINATION AWARD for 2012 and declared Trinidad and Tobago as FAVORITE CULTURAL DESTINATION for 2012. 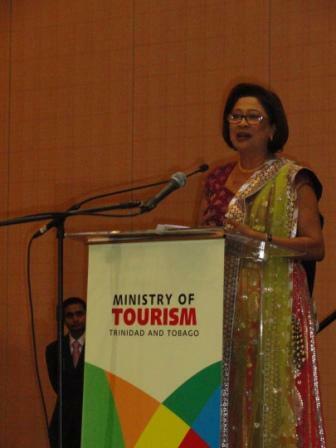 Honorable Kamla Pershad Bissessar –Prime Minister of Government of Republic of Trinidad and Tobago received the WORLD BEST TOURIST DESTINATION AWARD for 2012 on the behalf of people and government of Trinidad and Tobago. The impressive ceremony held in Port of Spain, capital of Republic of Trinidad and Tobago was held under the auspices of Minister of Tourism, Honorable Rupert Griffith and under the High Patronage of Honorable Kamla Pershad Bissessar –Prime Minister of Government of Republic of Trinidad and Tobago . The most important touristic event of the year, the announcement of the WORLD BEST TOURIST DESTINATION for 2012, had attracted a large audience of ministers, parliamentary and tourism professionals eager to find out the reasons for selecting Trinidad and Tobago as the winner of the prestigious award for next year. The spectacle was opened by a traditional Trinidad and Tobago dance full of fire and spirit fallowed by a presentation of important achievements obtained in tourism by Trinidad and Tobago during last year, presentation held by Minister of Tourism, Honorable Rupert Griffith. Speeches where held also by Professor Dr. Mircea Constantinescu –Director of European Tourism Academy who praised Minister of Tourism impressive results that are highlighting Trinidad and Tobago as a powerful cultural and tourist center in the world. In the same line Dr. Petru Lificiu, Vice-President of European Union Council on Tourism and Trade had underscored the significance of WORLD BEST TOURIST DESTINATION as an instrument in promoting free and fair tourism, ecologically friendly and opened to cultural values. 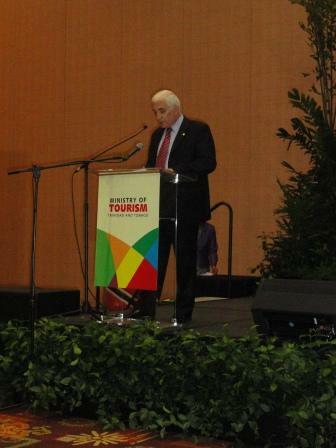 Finally, in the long awaited moment, Professor Dr. Anton Caragea, President of European Union Council on Tourism and Trade, had unveiled the reasons for proclaiming Trinidad and Tobago as WORLD BEST TOURIST DESTINATION for 2012. Among the reasons he emphasizes the cultural and historic values preserved by Trinidad and Tobago, the abundance of natural reserves, protected areas, and ecologically friendly tourist programs. 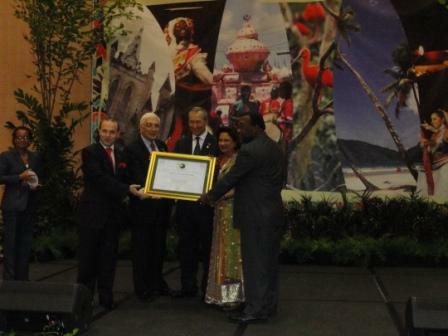 In the applause of the assistance Honorable Kamla Pershad Bissessar –Prime Minister of Government of Republic of Trinidad and Tobago received the WORLD BEST TOURIST DESTINATION AWARD for 2012 on the behalf of people and government of Trinidad and Tobago. In her speech Honorable Kamla Pershad Bissessar emphasize the decision taken by here government to believe in the future of Trinidad and Tobago as a tourist destination, to support development of tourism as an alternative way of economic development and expressed here gratitude towards European Union Council on Tourism and Trade delegation for support and trust in the future of tourism in Trinidad and Tobago. Under an explosion of applause Honorable Kamla Pershad Bissessar –Prime Minister of Government of Republic of Trinidad and Tobago ask for a vote of thanks and obtained a unanimity of appreciation for her dedication in promoting tourism and obtaining the prestigious WORLD BEST TOURIST DESTINATION AWARD for 2012 for her country and people. The ceremony had concluded with the presentation of the new television spot carved by Ministry of Tourism to promote in 2012 the WORLD BEST TOURIST DESTINATION – Trinidad and Tobago.